You want to keep your home and family as safe as possible. Protecting both can be as simple as being well-prepared for an emergency situation. Equip your home with the following home safety essentials. Working smoke and carbon monoxide detectors are home safety essentials. Smoke detectors should be installed on every floor, including the basement, and each bedroom should have its own detector inside and outside of the door. Test the devices monthly and schedule a yearly reminder to replace all smoke detector batteries. Consider upgrading your smoke and carbon monoxide detectors to smart devices that allow you to monitor your home remotely with your phone. 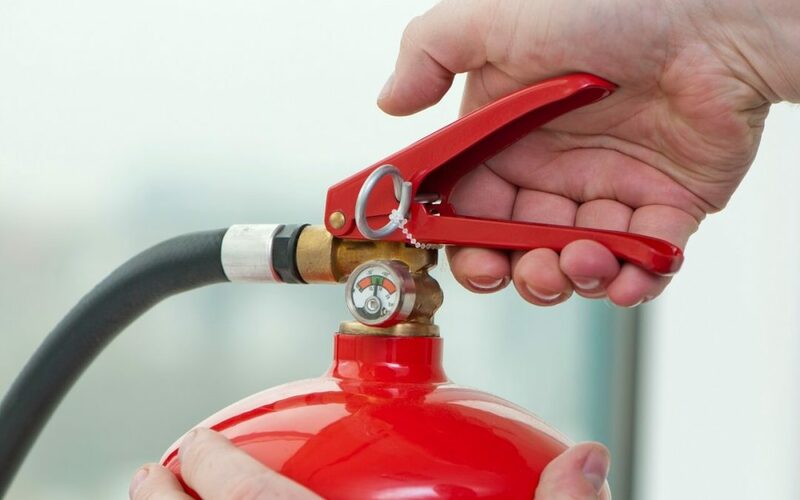 Fire extinguishers are home safety essentials and should be kept on each level of your home and in the kitchen. A fire extinguisher can often completely extinguish a small fire. Fire extinguishers last, on average, 5 to 15 years. Check the pressure gauge on your extinguisher monthly to make sure it is still effective in case of a fire. For enhanced security, every exterior door should have a deadbolt lock. Smart home devices such as smart locks, door and window sensors, and cameras can be installed to improve the external security of your home. Motion-activated lights provide additional security from intruders. Even in a secure and well-equipped home, your home safety essentials should include some basic items for emergencies or disasters. Every home should have a well-stocked first aid kit. Keep the first aid kit in an easily accessible spot and make sure everyone knows where to find it. The Red Cross provides a detailed inventory of the bandages, medications, and other first aid supplies to include in your kit. Replenish supplies as they are used, and check expiration dates at least twice per year. Your first aid kit is only helpful if you are comfortable administering first aid. Consider taking a first aid class to learn how to properly respond in an emergency. A disaster kit goes beyond basic first aid to include essentials your family may need in the event of a disaster or other major emergency. Consider the disasters most likely to impact your home. Include what your family would need to safely shelter for several days. A disaster kit should include nonperishable food, bottled water, flashlights, candles, and matches. If you have pets, prepare a supply of food and water for them. Include any medications your family members and general first aid supplies. A battery-powered radio, extra batteries, and chargers are also helpful in an emergency. While you certainly hope to never use your disaster kit, taking the time to plan for the unexpected helps protect your family in case of an emergency.